Lock in a great price for Austria Trend Hotel Messe Wien Prater – rated 8.8 by recent guests! 3 minute to Messe underground station. Overlooking the business University campus with its modern buildings. The university campus restaurant is 7 minutes walk from the hotel and is really nice and recommended. The front desk personnel are so polite and helpful. The hotel was nice to stay. It was very clean and comfortable. It is next to WU university and great opportunity if you have to visit it. Breakfast was also nice and enough. We loved hotel staff they were very friendly. It had mi-fi devices which are very useful when you leave the hotel. It is a great idea!!! Near metro station. If you have this you are near any :)! Very clean and comfortable. Nice quiet location and very close to the metro station. Good location right next to the Prater and the Metro station. Nice restaurant and breakfast. Garage availability. Nice and clean hotel, good location (near metro and Prater), breakfast was good, different options. It was a short stay, needed a hotel near the U-bahn for easy access to the city. This hotel is modern and new, perfectly suitable if you have stuff to do at WU or on Lassallestrasse. The breakfast area felt very "spacey" when compared to other hotels. Despite the hotel being fully booked due to a convention on the nearby fair grounds we've never had a problem finding a table. And did not feel the need to vacate as soon as possible making the breakfast very enjoyable. Austria Trend Hotel Messe Wien Prater This rating is a reflection of how the property compares to the industry standard when it comes to price, facilities and services available. It's based on a self-evaluation by the property. Use this rating to help choose your stay! Austria Trend Hotel Messe Wien Prater is located right in front of the Messe Wien Neu, Vienna's fair and convention center, and only a few steps away from the Vienna Prater with its famous Giant Ferris Wheel. This elegantly curved hotel offers modern rooms of the 3-star superior category. 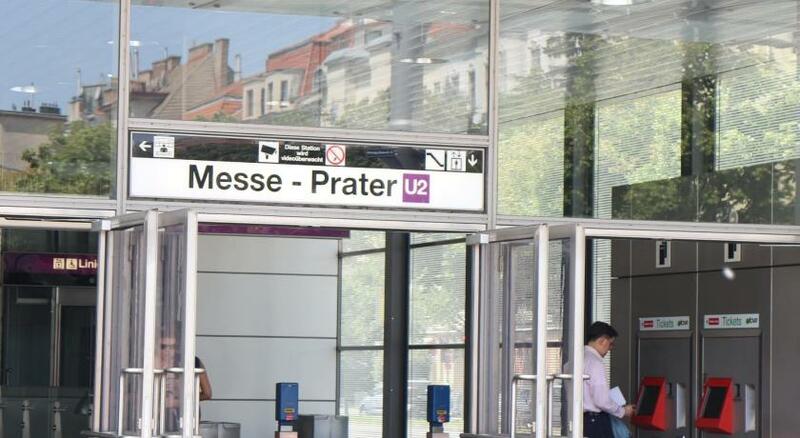 The underground line U2 (station Messe-Prater) allows you to reach the historical city center within 4 minutes. The generously laid-out bar in the center of an airy 2-story foyer is the ideal place to enjoy a refreshing drink or a small snack. The entire hotel is accessible to disabled guests. An electric vehicle charging station is available. 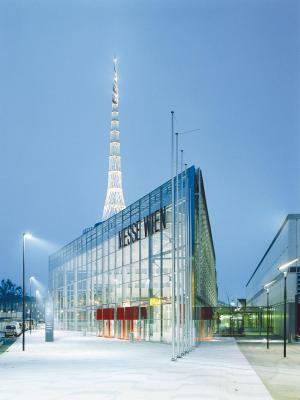 When would you like to stay at Austria Trend Hotel Messe Wien Prater? These rooms are located on the upper floors, with a unique view of the Vienna University of Economics and Business and the Prater Recreation Area, and offer free Wi-Fi and satellite TV. A welcome drink is served upon arrival and guests can enjoy free soft drinks from the minibar. Early check-in and late check-out are available upon request. This room features a flat-screen TV with satellite channels, a minibar, free Wi-Fi and air conditioning. Room featuring a flat-screen TV with satellite channels, a minibar, free Wi-Fi and air conditioning. The special offer includes 1 parking space. Surrounded by the modern architecture of the new business campus, you feel like the future has already begun. Hotel surroundings – This neighborhood is a great choice for travelers interested in convenient public transportation, old-town exploration and monuments – Check location Great location - show map Guests loved walking around the neighborhood! 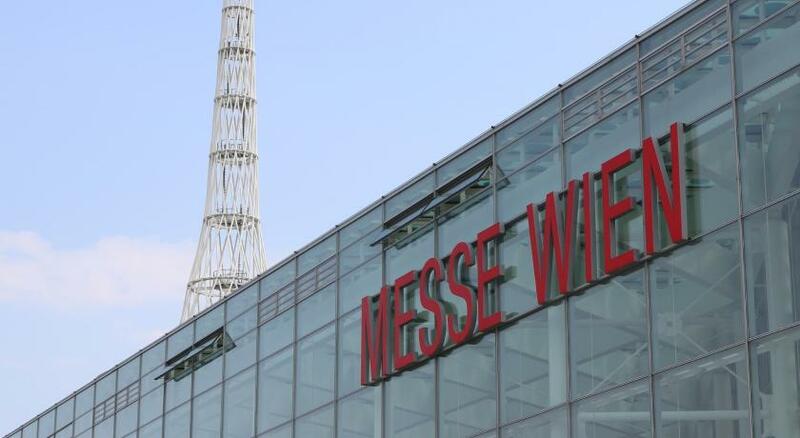 House Rules Austria Trend Hotel Messe Wien Prater takes special requests – add in the next step! Austria Trend Hotel Messe Wien Prater accepts these cards and reserves the right to temporarily hold an amount prior to arrival. Please note that the garage entrance height is 6'4". Perfect stay at Vienna if you are visiting the Exhibition, it is just across the street. Also a good connection to the city centre by foot and easy to find off the highway if you are comming by car. Underground parking secured and Metro is just around the corner! Breakfast is various and has alot of options which is good! The location is very good! Only a few minutes walk to the tube and it only takes 15min to city center. It’s in a safe area. The room is very clean and has a lovely layout. The location of the hotel, the relaxing bedrooms and the staff. Hotel near Messe Wien, WU and Prater. in room was nice and clean ,with excellent view to the Prater. Comfortable bed. Good breakfast. Tasty coffee. The bathtub. We would have preferred an enclosed shower. Great location near purple subway line, you can reach anything pretty easily. The breakfast is excellent with a great variety of options and it even offers gluten free bakery which was not bad. It also offers some lactose free options. The room was nice and clean with a view to the Prater amusement park which was beautiful in nighttime with the lights and everything. Surely will come back and stay here. Someone(probably cleaning Staff) knocked and entered my room around 8.30 a.m Sunday(checkout Day) - it woke me up and i couldn't sleep anymore. That shouldnt happen - especially when its your checkout Day and cleaners should wait for an information that the room is empty.